Made of eco-friendly non-toxic memory foam and featuring no solid or stiff components, this model boasts impeccable quality and is suitable for active games. It will take some time for the pool to restore its shape deformed during transportation. 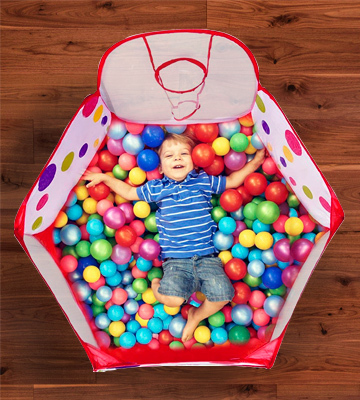 Soft, nice-to-the touch, and absolutely safe for kids’ health, the Langxun ball pit will become an ideal indoor playground for infants and toddlers to entertain without the risk of injury. And it’s a perfect gift idea for a birthday, Christmas or any other special event. All component pieces can be used independently or quickly connected into an entire construction. Besides, ground anchor loops allow fixing it to withstand strong wind. Somewhat messy tent to tunnel connections. 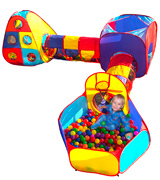 The model from Playz is not a ball pit but rather a full-fledged playhouse or a kind of maze with bright color tents and tunnels of different shape and a number of entrances and exits. 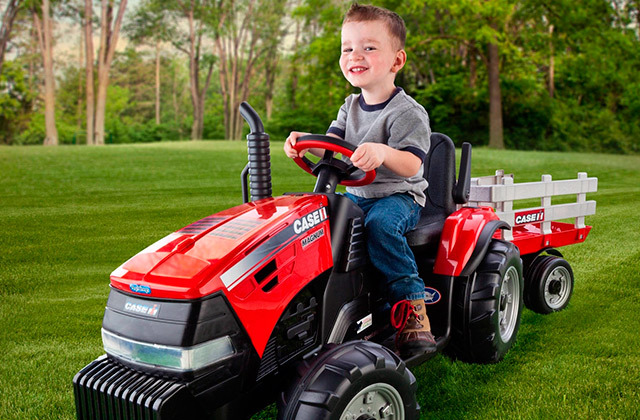 Suitable for indoor and outdoor use, the set will become your kids’ favorite play area. The pit is made of durable tear and wear-resistant fabric and component parts are double-stitched to withstand extended use and prolong the item’s service life to the maximum. A bit low door profile allowing the balls to fall out when open. A pop-up tent from Kiddey offers the best price to quality ratio. 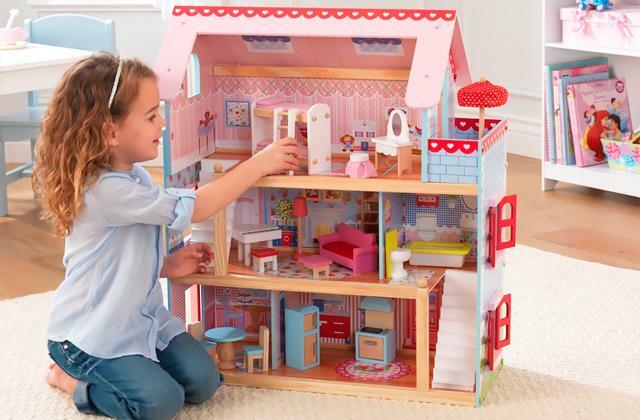 At a moderate price tag, you’ll get a roomy and versatile playhouse that will keep your children engaged for hours. And you can watch them playing through large mesh windows. It can accommodate 2-3 kids and is best suited for toddlers and older kids. 30" x 56" x 50"
The pool is made of soft polyester fabric, waterproof and safe for the child’s health. It won’t fade over time and can easily withstand regular cleaning that is important when used outdoors. It might appear difficult to collapse. Wherever you put this portable ball pit for kids from EcoSun, it will bring a lot of fun and excitement to your little ones and keep them busy while you can have some rest. Fitted with a durable and resilient frame, it will make a perfect play space for the infants over 6 months old. 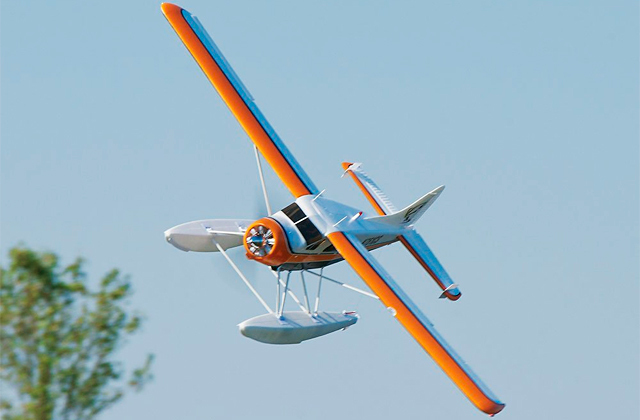 And thanks to a lightweight folding design, you can take the toy almost anywhere. 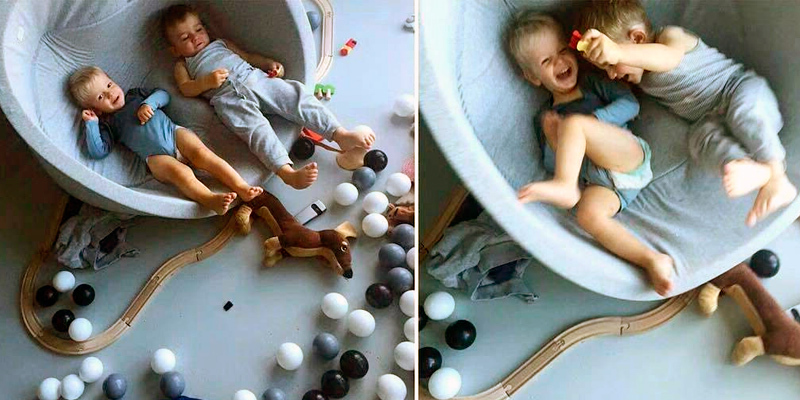 A basketball hoop adds versatility to this ball pit. It will help make games more interesting and even set a competition on ball shooting. Fiberglass poles are prone to damage when leaned on. The Muddler ball pool is an affordable multi-purpose playpen that provides good value for money. A snap to pop up and collapse, it can be used both indoors and outdoors. 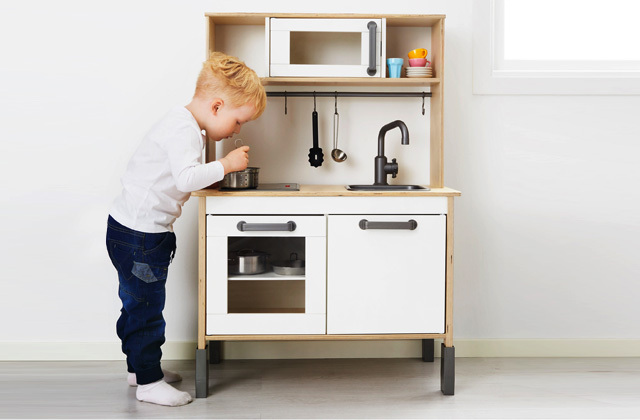 And it is compact enough to fit into any room and is still capacious enough to accommodate two kids playing together. 23.6" x 29.1" x 47.2"
Seeking the best for their kiddos, parents look for toys that will amuse their little ones and will be safe to use. Safety is a top priority for children and especially for babies below a year of age and infants who only make their first steps since the latter are more vulnerable and sensitive to all sorts of impacts. Hence, making your choice in favor of the Langxun toy ball pit, you won’t go wrong in term of safety and get one of the safest ball pits for kids out there. From design to materials, this model is created with the ultimate baby safety in mind. Right off the bat, the Lanhxun is a handmade product which means it is made with care and a special attention to details. The item is distinguished by a frameless construction. What you get is a memory foam pool encapsulated in a cotton cover. 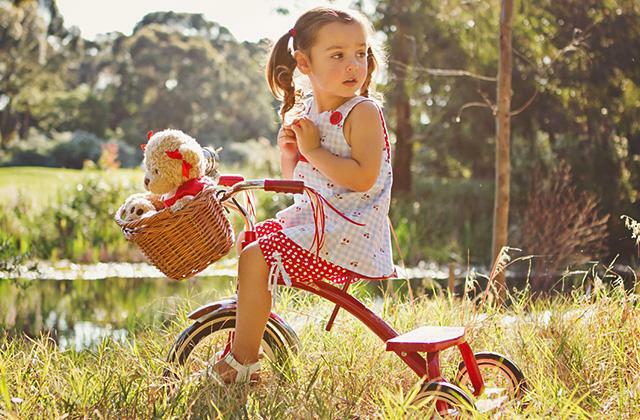 All materials are hypoallergenic and non-toxic with no BPA or phthalates in its content. Hence, exuding no dangerous compounds, memory foam will do no harm to your child’s health while a cover of breathable all-natural cotton is the best choice for delicate baby’s skin. The pool requires no assembly and comes already packed into a zippered cover. That’s good news. Yet, a kind of bad news is that memory foam comes deformed and wrinkled during transportation. So, you’ll have to let it expand for several days before use. However, once brought to shape, it will convert into a round little pit 35.5” in diameter with soft but sturdy walls to support a sitting child. Besides, the cover is removable and machine washable for quick and easy cleaning. 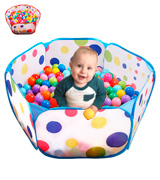 Nice-looking and absolutely safe for baby’s health in all aspects, the Langxun ball pit will become an ideal indoor playing spot for the smallest ones to entertain and explore the world without the risk of injury. If you want to give your little one a present a tiny tot will rave about, you’ll score the hit with a ball pit with a tunnel from Playz. Actually, it’s much more than a plain pool with plastic balls in it. 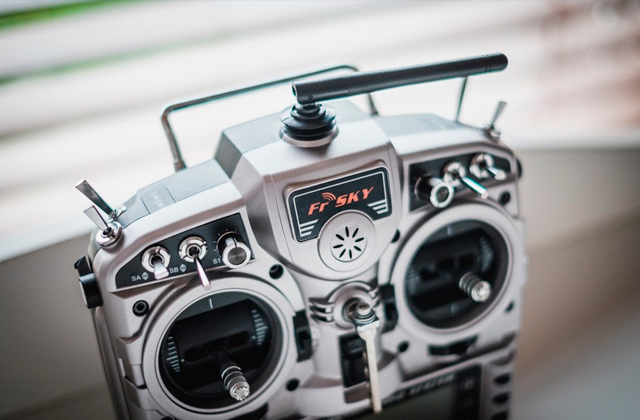 The package includes as many as 5 component parts that can be either used independently or connected into a pretty large entire construction. Thus, there is a teepee tent with numerous mesh windows and a hoop on the exterior wall, a square play tent with several entries, a spacious ball pit with another hoop, and two diagonal crawl tunnels. These components can be linked in a number of variations to encourage different activities and make your child’s imagination go wild. Besides, such modular construction can be adapted to let kiddies of different ages play together. Anything, from simple peekaboo games for infants to hide-and-seek for toddlers to basketball for the older ones, is possible with the Playz. With the functionality beyond all praise, let’s come down to the design of this mini amusement park. All pieces are made of soft and strong polyester fabric that is wear-proof and can be easily cleaned when stained. Each element separately is supported by metal rods bringing the whole construction into shape and making it durable and sturdy. It’s worth saying that the assembly won’t take you much time. The elements will pop up once you unpack them and you will need just to link them together. Moreover, a padded structure and anchor loops make this model suitable for the use outdoors even on a windy weather. Though the balls are not included in the set, with a total capacity of 1000 balls, you are free to add as many as you want. All in all, the Playz is a kind of home entertainment center that can be used for kid parties, picnics, backyard BBQs, in parks and playgrounds, in the school or simply set in a nursery or living room. It will become a favorite play area of your kiddies and will keep them amused for hours. 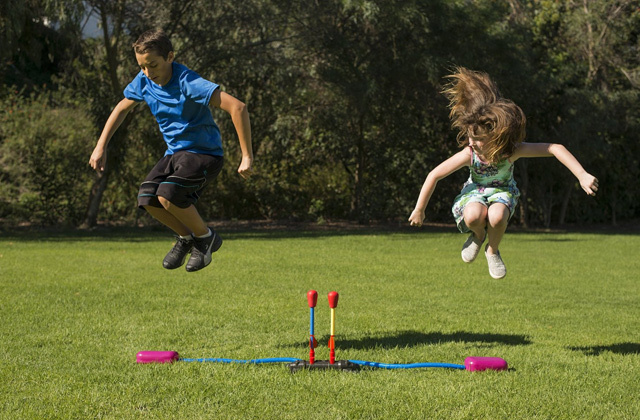 Kids are eager to play all the time and it might become a real challenge to get them engaged. Ball pits are well-known entertainers for little fidgets. And even if you do not have enough space for a big modular set, a simple moderately sized and reasonably priced ball pit will also do the job pretty well, just like a model from Kiddey. The Kiddey is not quite a classic ball pit. In fact, it’s a 6-sided playhouse with a large round opening on the top to load plastic balls. Measuring 56”x50”x30” in size, it will comfortably accommodate 2 or 3 toddlers. Made of weatherproof fabric and featuring double-stitched joints, the model can be used both inside and outside the house. Whether you want to arrange a play area in the nursery or set up a play spot somewhere in the garden or backyard, the Kiddey ball pit will cater to those needs just fine. 5 out of 6 cubic walls are a transparent and breathable mesh that not only ensures proper air circulation but also gives you an opportunity to watch your kids as they play. Meanwhile, the sixth side is a door that can be left open for toddlers to get in and out or closed to create a cozy and enjoyable playpen for little crawlers. And while your kiddies are rolling, jumping, throwing balls, or simply paddling inside, you’ll have a spare minute to sit back and relax. To assemble the tent, you don’t have to follow any complicated instructions and spend much time and effort. Simply unpack the item and let it pop up. To fold it back and squeeze into a round zippered bag for storage might appear a somewhat more difficult task, yet, still, a feasible one if you stick to illustrated folding instructions. An optimal number of balls recommended for this model is 400. However, if your little one wants to dive deep, you can add some more. 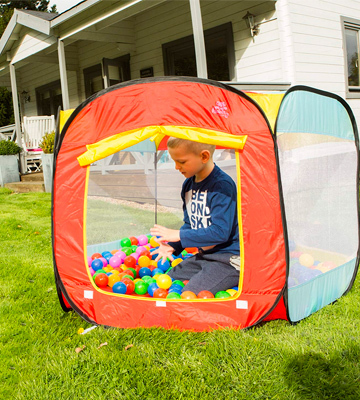 Distinguished by the best price to quality ratio and versatile, the Kiddey play tent is a great way to bring the fun and sensory experience of ball pits to home. 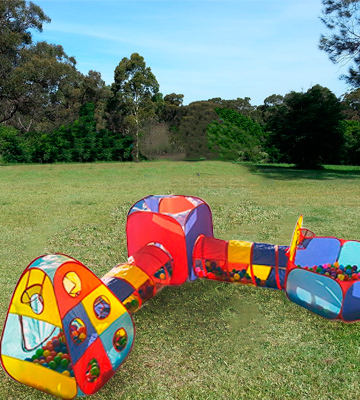 Want to have a captivating and safe play area for your little one wherever you go, be it a summer house weekend, a camping trip, a seaside journey, or simply a family picnic in the park? 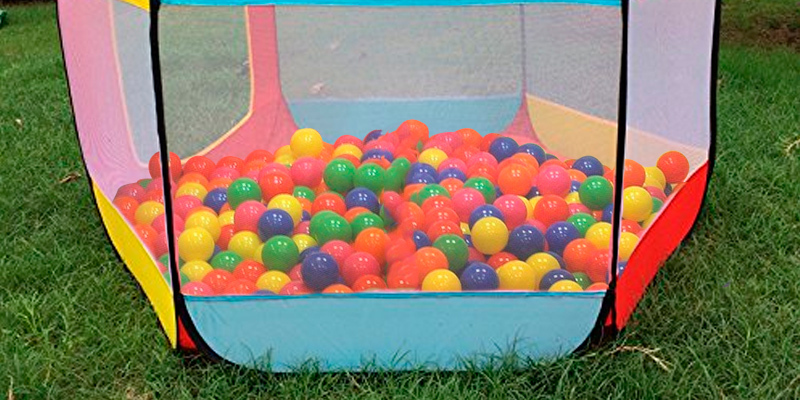 If so, you will definitely appreciate a collapsible compact ball pit from EcoSun. The item boasts a pop-up design and comes folded into a zippered bag that won’t take much space in your car trunk. 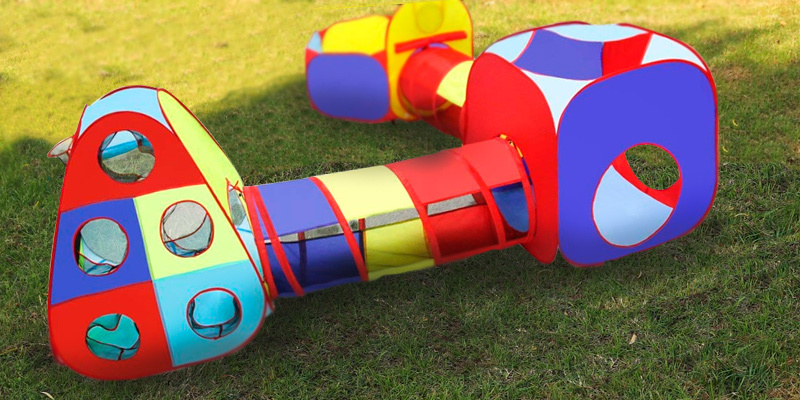 When popped up, you’ll get a roomy (39.4” in diameter) enclosed playpen. 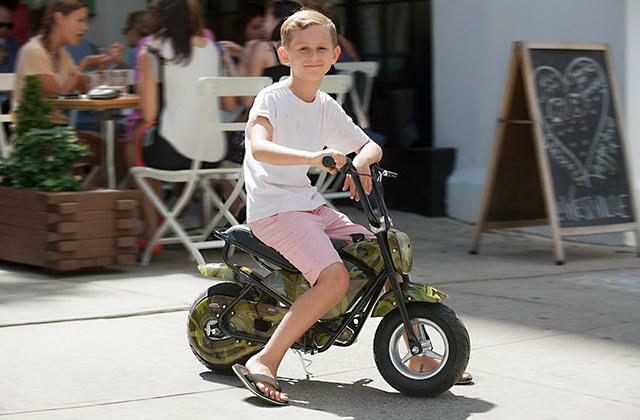 With the wall height of only 14.5”, it’s well suited for kiddies over 6 months of age. Those babies who can only sit and crawl will enjoy sitting or lying down inside, grabbing and throwing balls to improve their motor skills and hand-to-eye coordination. Meanwhile, toddlers will be excited to jump, roll, and crawl in and out. The pool is large enough to hold 400 balls. Yet, when taking this toy to the trip, you can take a space-wise pack of 100 balls that will be enough for an enjoyable ball pit experience. 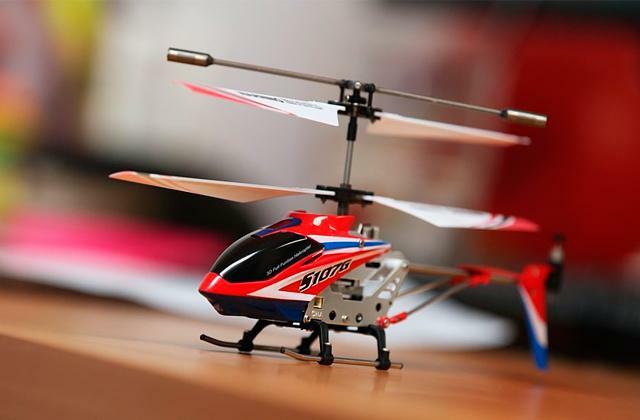 It’s worth mentioning that this model is offered, though not for freе, at a ludicrous price. It might make you think that the product quality leaves much to be desired. Yet, it doesn’t. 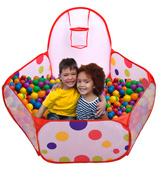 Unlike many other cheap ball pits made of poor-quality easy-to-tear fabrics prone to fuzziness, color fading, and featuring flimsy easy-to-break wires, the EcoSun is made of high-density polyester with a steady non-toxic printing and comes fitted with firm and flexible wires securely sewn into the fabric. Hence, you can rest assured knowing that colors won’t fade and the pool won’t lose its shape over time even when used outdoors. Wherever you put this portable ball pit for kids from EcoSun, it will bring a lot of fun and excitement to your little ones and keep them busy while you can have some rest. There is hardly a kid who doesn’t like to play with balls, be it small palm-size balls, midsize play balls, or larger balls used to play football and basketball, all children are excited about balls. And how often did you see tiny tots trying to throw a ball into a basketball hoop? Does it sound like your kiddie? Then a portable ball pit from Mudder will help your little one improve shooting skills and some more than that. What parents expect from a ball pit is a lot of fun and excitement for the baby and a peace of mind about kiddo’s safety for themselves. And you’ll get all of this with the Mudder. 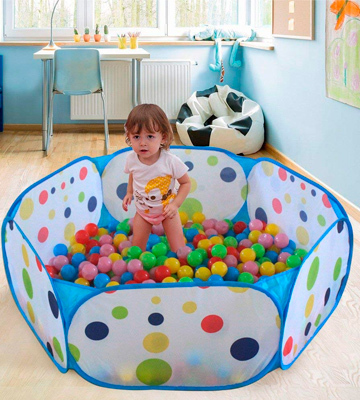 Safety always comes first and this ball pit will make a comfortable and protected spot for little one to play in. The pool is made of high-quality polyester free from any harmful compounds and safe for children. Besides, this fabric is not that easy to tear and wear-proof, so, the item will easily withstand extensive use and abuse of several kids. Fiberglass poles securely sewn into the fabric make up a sturdy construction not prone to bends and damages. Hence, there will be no sharp broken rods sticking out here and there and exposing your child to the risk of injuries. However, the frame is resilient and flexible enough for toddlers to conveniently crawl in without the help of adults. Of course, the item won’t last forever, but will surely serve your kiddie for pretty long. The biggest issue about ball pits in public amusement centers is that you never know what is underneath a layer of balls. With a home ball pool from Mudder, you can easily remove the balls and easily wash the bottom and sides of the pit or quickly wipe off accidental spills as well as clean the ball, if necessary. So, no baby safety concerns attached. As for fun, no doubt, your child, be it a hardly walking infant or a fidgety toddler, will adore jumping, frisking and rolling in the balls. And with the dimensions of 47.2” x 23.6” x 29.1”, the pit is spacious enough for several kids to play together. What’s more, there is a basketball hoop fixed on one of the walls that will make games even more interesting and can turn the nursery into a small basketball playground to throw a ball and train shooting skills. Who knows maybe you foster a future champion. 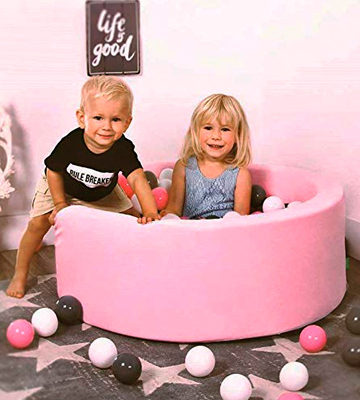 Safe and engaging, the Mudder ball pit will make a nice addition to any household with small kids. What Is a Ball Pit for Kids? 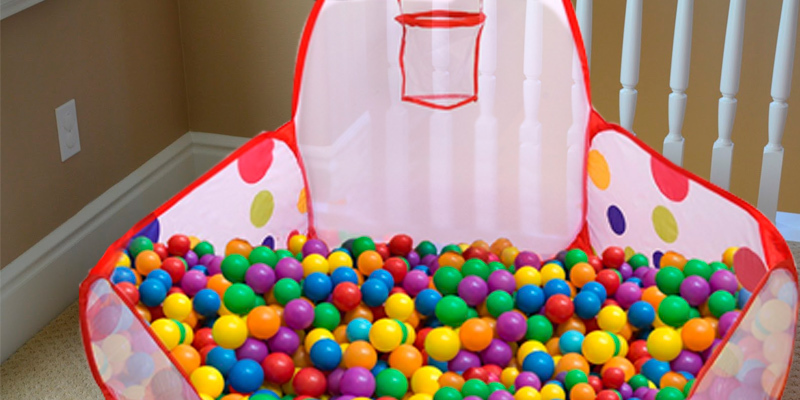 A ball pit is a kind of fabric pool filled with a number of multi-color plastic balls. It might seem like nothing special for you. And it certainly is nothing special for adults; yet, for smaller kids it’s a whole swirl of fun and a real entertainment oasis. 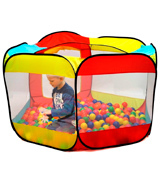 Ball pits come in a variety of designs and sizes. They range from small frameless soft pools for crawling infants and toddlers to all-in-one modular sets for older kids. 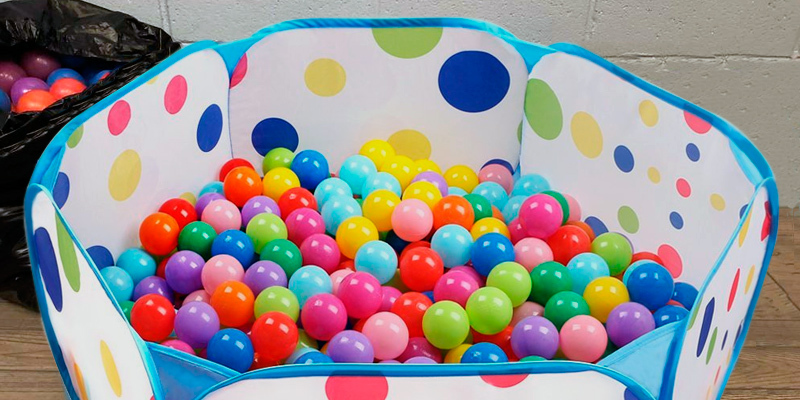 Basically, ball pits for kids are made of durable polyester fabrics that can withstand extensive daily use both indoors and outdoors and are waterproof and easy to clean. A fabric pool is typically supported by metal or fiberglass frame to hold shape. 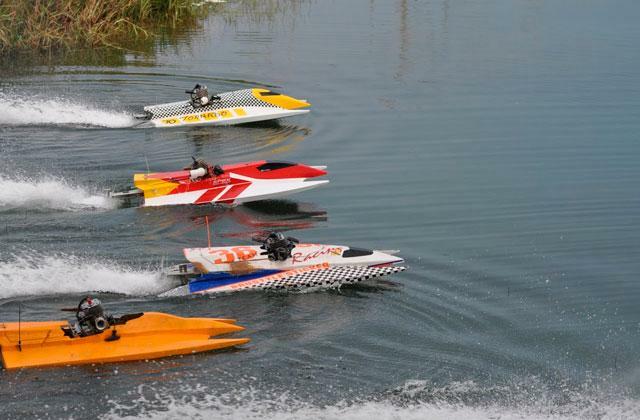 However, you can come across frameless models as well usually designed for safe use by the smallest ones. Large or small, ball pits make kiddies excited. Their bright colors, shapes, and cartoon designs attract little ones like a magnet. However, these play pools are not just whimsical toys. Through fun and play, they help children learn and explore the world. By encouraging kids’ imaginations, they induce them to learn colors, recognize shape, improve coordination, develop motor and social interaction skills. 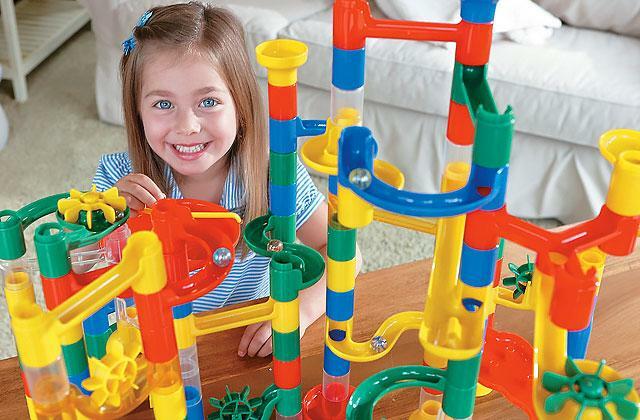 To further enhance and develop the logical thinking of your little ones, you might be interested in marble runs. A labyrinth with tracks for small balls to find their way down is a great educational toy that will add to your kid’s toy arsenal.